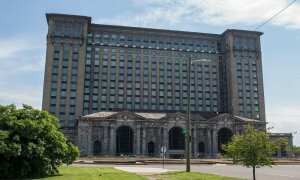 On June 18, hundreds gathered around the Michigan Central Depot, Detroit’s 500,000-square-foot decrepit former central train station. The building has served as a symbol of the city’s various ailments wrapped up in one gigantic piece of real estate: globalization, lack of opportunities, civic mismanagement. Yet, this time the crowd was not gathered for a pity party. Attendees were watching Bill Ford Jr., Ford Motor Company’s 61-year-old executive chairman, discussing the 115-year-old train station’s future. Like the city itself, the former station is undergoing a rebirth: it will be home to Ford’s autonomous vehicle team after a $740 million renovation. My experience with “Jay Buys Detroit” was wonderful. They were extremely professional. Any questions that were not answered on their website, Jay was willing to answer. Great, kind people as a whole.